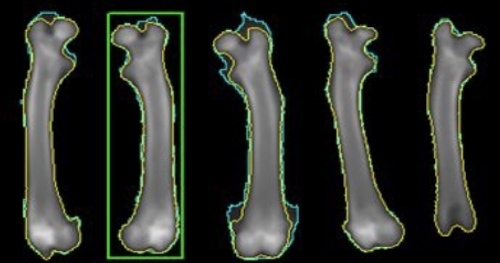 Dual-energy X-ray absorptiometry: is a a way of measuring bone mineral density . This process is done with two different X-ray beams that have different energy levels, are aimed at the bones. Dual-energy X-ray absorptiometry is the most commonly used and studied technology for bone density measurement.